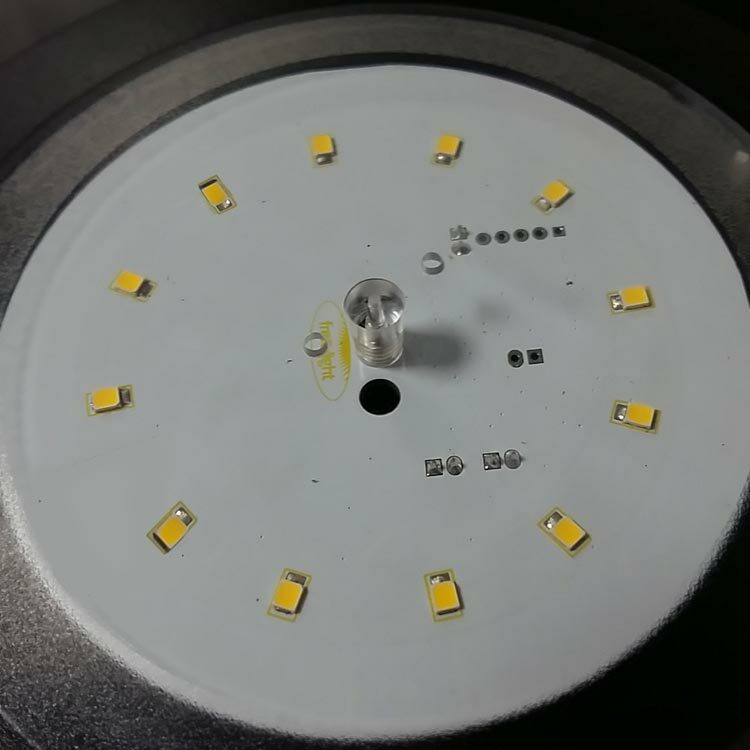 All Solar Lights Are Not Created Equal! If you're already a free-light customer, you know how reliable and dependably bright free-light solar lights are for home and garden, cottage and landscapes. Thank you for buying free-light! With Spring less than 2 months away (March 20 to be exact), you may already be thinking and planning this year's outdoor projects. Add the finishing touch with solar lights from free-light. 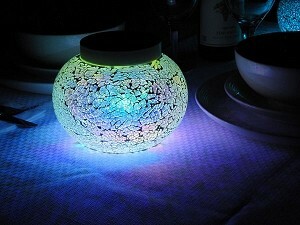 Soft white solar light energized by the sun for so many places. Today we're featuring these stand up - stand out solar solutions to add light and ambiance with function and flair. Oh! So many products... so little time. Read on free-light friends! 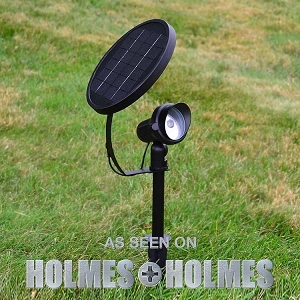 Fence Post Solar Lights - Solar Post Cap - PCL4. 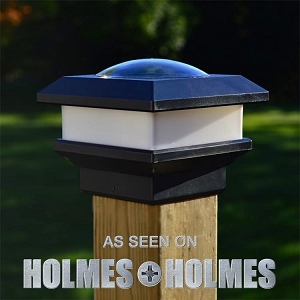 Considered the finishing touch for fence posts, free-light PCL4 Fence Post Caps were designed with a domed cover to let leaves and snow slide off so the light continues to efficiently charge all year long! For use on a standard 4x4 finished wood post. The upgraded super-bright white LEDs and LiFePo4 battery will have your neighbours oohing and aahing because of your bright idea. Speaking of bright ideas, there are lots more Fence Post Solar Lights available in other sizes. Ooh and aah away, then order today. Wall Mount Solar Lights - GALAXY Black. Add a touch of elegance to your home with our Wall Mounted Solar Light, GALAXY in a sophisticated black finish. Easy to install with only 2 screws. 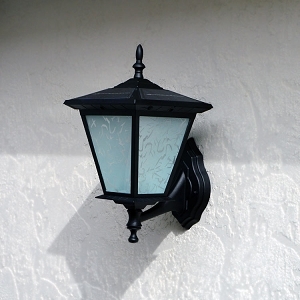 GALAXY Black Wall Mount is a great solar light fixture for entrances, garages and porches (but not for installation under eaves or over/under hangs). A great option for brightening up your garden or tool shed. Browse more Wall Mount Solar Lights. Order yours today. Brightness awaits! Security Motion Solar Lights - Solar Security - SENTINEL. Another bright idea from your friends at free-light. SENTINEL Security Light is ideal for doorways, corners, garages, shed entrances, cabins, cottages, boat houses and pathways. The solar panel can be mounted up to 14' away from where you want the light to shine. Will work reliably on as little as 20 minutes of sunshine a day. Illuminate the dark areas of your property with free-light. Order your SENTINEL Security Lights today! 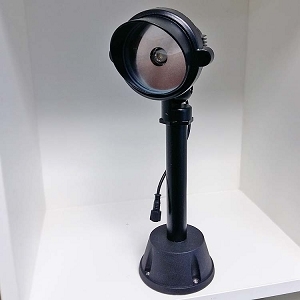 See other Security Motion Solar Lights. Solar lights the way they should be: easy to use with long lasting usable light. Ready to ship today. Landscaping and Sign Solar Lights - Wall or Flat Surface Adapter for - SPOTLIGHT. Today we're featuring the SOLAR SPOTLIGHT flat surface mount adapter which allows more flexibility for SPOTLIGHT installation. Here's how it works: remove the top cover from the adapter, screw the base into the wall or flat surface. Re-attach the top cover. Thread the light body with extension post to the adapter and installation is done. 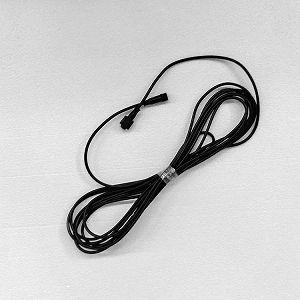 You can leave the solar panel attached to the light fixture or you can use the SPOTLIGHT 5M extension cable that allows the solar panel to be mounted up to 15' away from the SPOTLIGHT. See all the Landscaping and Sign Solar Lights and Accessories here. They're ready to ship today. Pathway Solar Lights - CAPITOL. Sleek and stylish, CAPITOL broadcasts 15' of constant solar brightness from a slender 23.5" tall body. Add some pizzazz to your pathways and walkways, garden edges, and poolsides. Add CAPITOL to the edges of driveways or walkways for an elegant entrance. Nobody does solar better than free-light. Solar the way it's meant to be... beautiful, reliable, free! 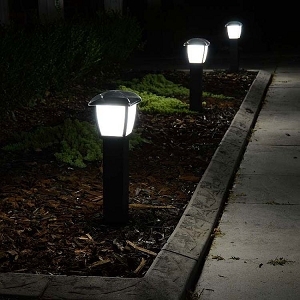 Browse all the Pathway Solar Lights by free-light and order yours today. Table Solar Lights - BELIZE. Night time sparkle, day time reflectivity. BELIZE Solar Table Light is a bright and beautiful addition to your outdoor living space. Like a chameleon BELIZE picks up colour from its surroundings. Stunningly beautiful and perfect for side tables, dining tables, coffee tables or other flat surface, BELIZE is individually hand-crafted by glass artisans. Shop the complete collection of Solar Table Lights now.